The French influence on Pondicherry is very strong. If you’re an avid reader of our blogs (which I hope you are), then you know the impact it has had on Pondy’s architecture. (If you don't then check out French influence in Pondicherry) But that’s just one of the places where the French have left their strong marks. Another area happens to be food! The cuisine of Pondy is delicious to say the least and the treat begins right from the moment you lay your eyes on the dish. 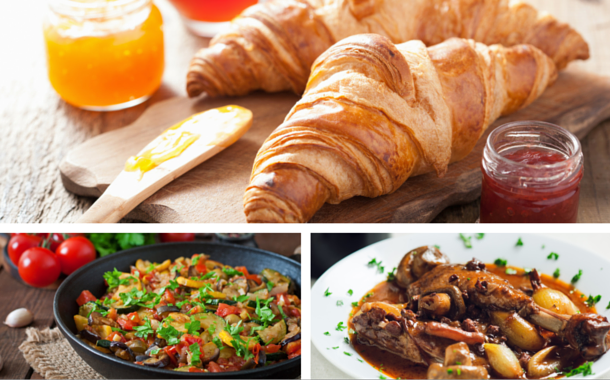 So here are 7 dishes, straight off the shores of France that you can try here, on the shores of our very own Pondy. Gorging on this dish will remind you of the coastal city of Nice in France, the place where this dish originated from. Considered as a healthy salad, it has all the ingredients that you find in a salad, like lettuce, tomatoes, green beans, olives and in addition to that tuna, potatoes and a hard boiled egg with a runny centre the colour of sun; all of it topped off with a vinaigrette dressing. Is your mouth watering yet? A classic French vegetarian dish, this was the inspiration behind one of your favourite Disney movies. 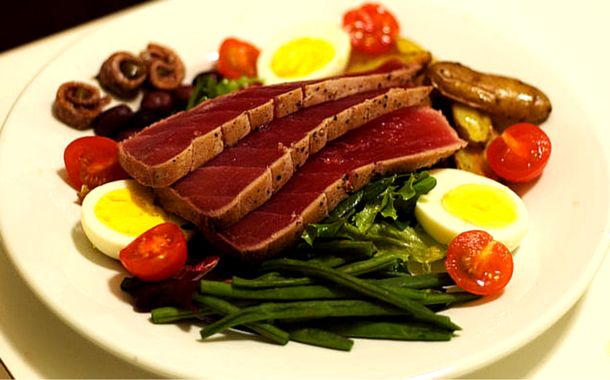 A cousin of Salad Niçoise, this too originated in Nice. Had as a side dish it is usually accompanied with pasta or bread. 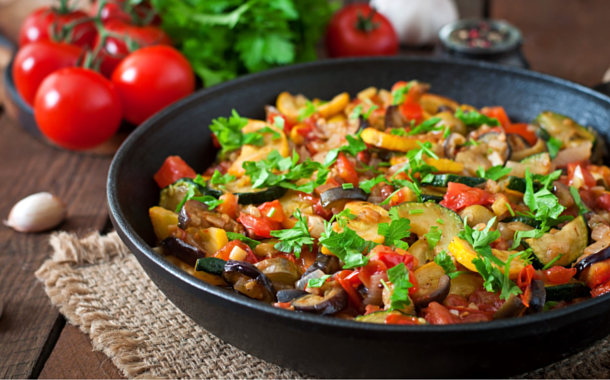 Tomato, garlic, onions, aubergines, bell peppers and zucchini form the main ingredients. They’re all tossed up in herbs, oregano, thyme and rosemary. If the previous dish was vegetarian, this one has meat written all over it. 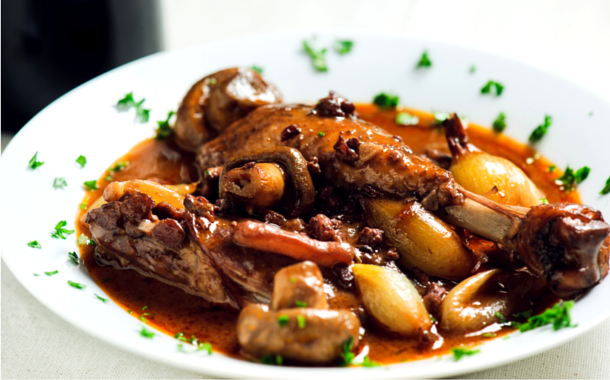 A classic French chicken casserole, the chicken is braised in a rich burgundy red wine with mushrooms and garlic along with chunks of pork or bacon to add the extra flavour. 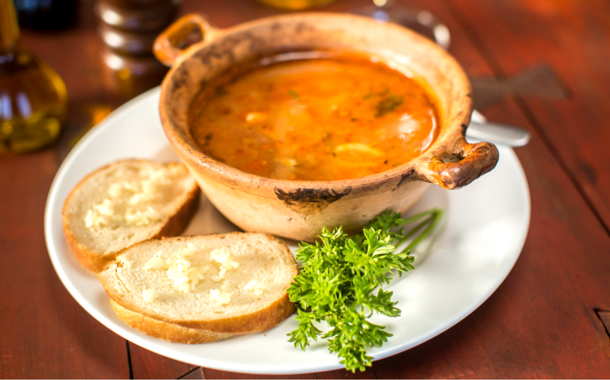 It’s a traditional fish stew found in the south of France, especially in the city of Marseille, but now it can be found in Pondy as well. The stew contains a lot of fresh fish and locally available seafood in addition to onions, tomatoes, potatoes, fennel and garlic. Think paper like pancakes of heaven is the best way to describe crepes. A French street food, it can be found in almost any restaurant in Pondy. Crêpes come in two types - sweet and savoury. 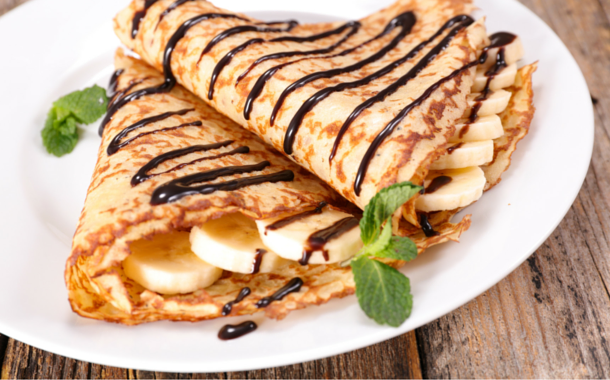 Sweet crêpes usually have a filling of chocolate, Nutella, marmalade or jam, often topped with whipped cream or icing sugar. The savoury crêpes on the other hand have fillings like egg, cheese, mushroom, spinach. Delicious either way. 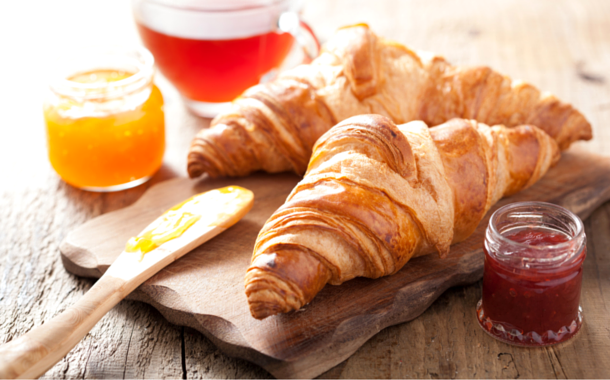 Fluffy crescent shaped pieces of heaven, croissants are a staple in France. Bakers have been baking them since around 1938. Light and fluffy they’re usually topped off with butter or they come with a filling of ham and cheese. And yes, both variants are found in Pondy. The best way to end a meal is with a dessert and so is the case with this blog. Crème Brûlée is a soft custard with a caramel layer on top. But the magic of this dessert lies in sprinkling the top with sugar and then using a blowtorch to burn it up to give a nice crispy crunch. Visit popular streets like Bussy street or Bakers street to sample these exclusives at most local hangouts. Plan to whip up a few on your own? Watch this space for the recipes.